I have three things in my freezer meat, green chile and pecans. My dad has a small pecan orchard and regularly sends me care packages of pecans, it’s usually a large flat rate box just pack with bags of home grown nuts. Having priced pecans in the store, the street value is well over $200. Since I have a personal stash and steady supply of nuts I’m always on the look out for new recipes that feature the precious pecan. I was perusing Patio Daddio BBQ found a recipe for Pig Pralines. Patio Daddio is one of my favorite BBQ blogs, he’s got great recipes and awesome pics. 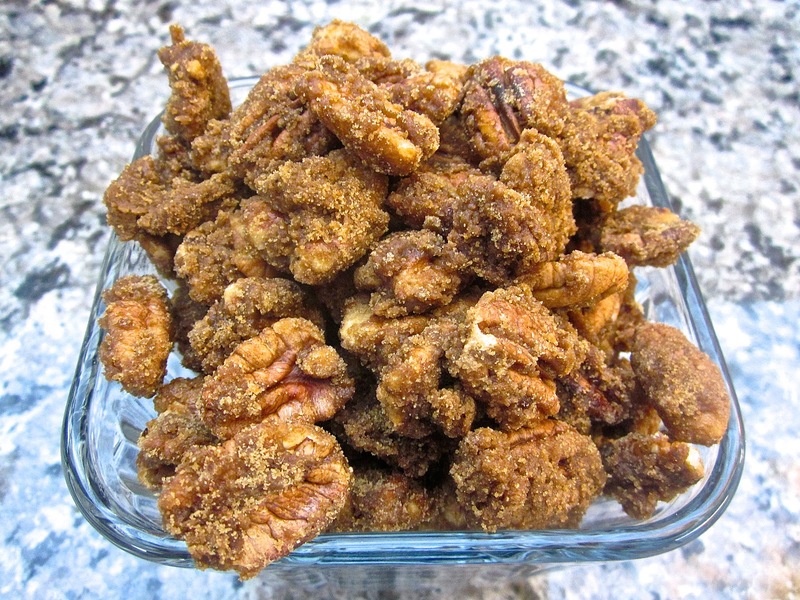 During recent peruse this recipe for Pig Pralines caught my eye, of course any recipe that combines the flavors of bacon and pecan will always catch my eye. You can make this on the stove but I used my Disc-It, anything you can make on the stove can easily be made outside on the Disc-it. Fire up the Disc-It and turn it down to low. Start by adding the bacon drippings and heat. Once the bacon dripping are warm, dump all the remaining ingredients and stir. After a minute or two the brown sugar will melt, keep stirring for another 3-4 minutes. 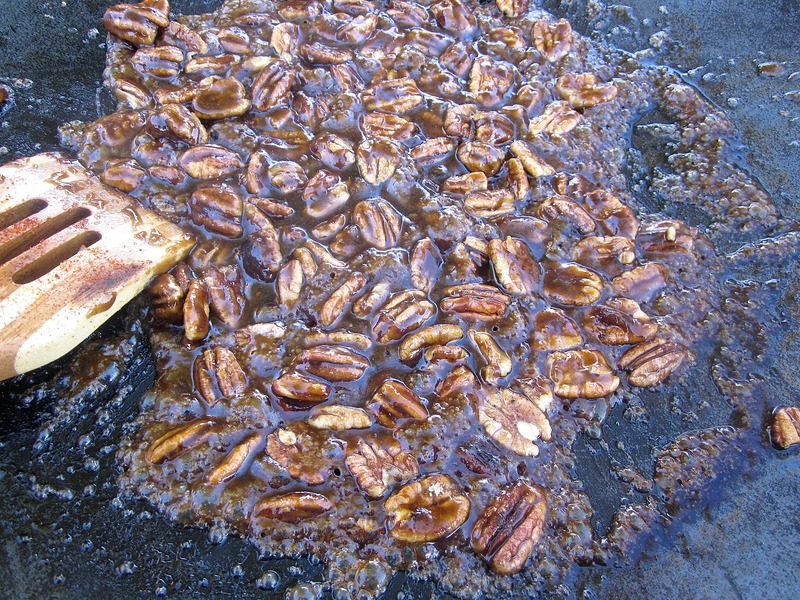 When the praline coating begins to dry and stick to the pecan turn the heat off and allow the nuts to cool, stirring occasionally. Be sure to let the nuts cool COMPLETELY before eating, I didn’t and burnt the crap out of my tongue. Cooking outdoors has never been better! The pralines were perfect; crunchy, sweet, with a little spice and heat. Best of all there’s the hint of bacon. This is definitely going to be a repeat recipe, especially during up coming holidays. 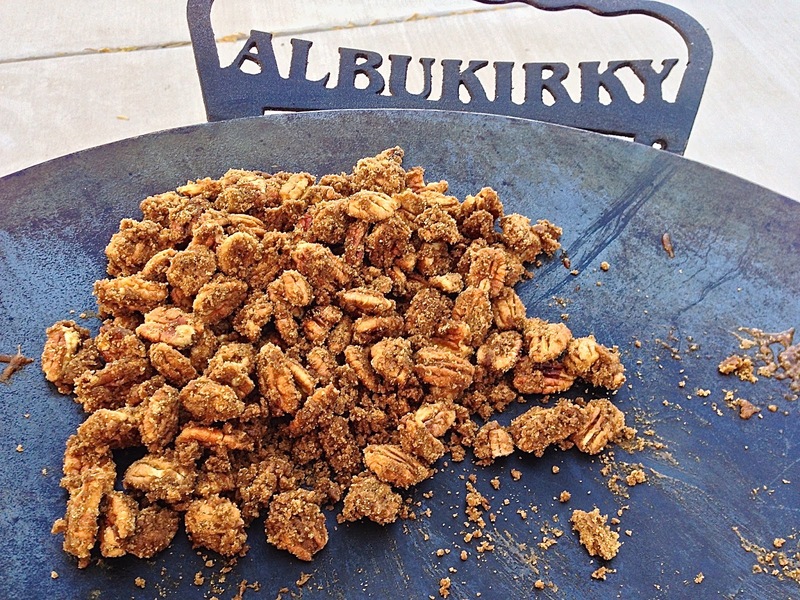 Cooking pralines outdoors has never been better! It was a perfect recipe for the Disc-It. I will be borrowing more of your recipes.